Last week I posted a single line from the Desiderata on Instagram, a prose poem written by Max Hermann in 1927. It is a magnificent piece of writing, a simple and thoughtful take on how to live a life of contentment, happiness and fulfilment. The post prompted several conversations about what sort of person Max Hermann must of been to have had such an insightful and simple take on life. He was clearly a man who understood the world, and even though this poem suggests that he had his struggles, he was loyal to the belief of choosing happy. It is the simplicity of this poem that makes its so attractive to me, and the wisdom too. If we all lived by these words, I think the world would be a happier place. I just had to share it again. 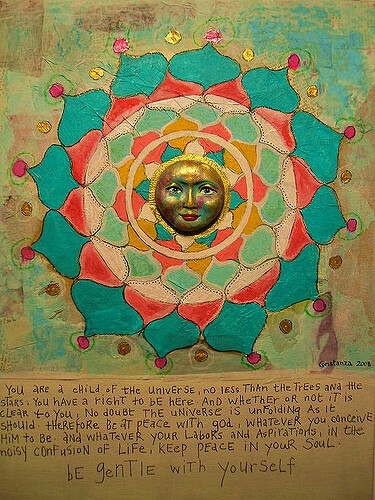 And whether or not it is clear to you, no doubt the universe is unfolding as it should. Therefore be at peace with God, whatever you conceive Him to be. And whatever your labors and aspirations, in the noisy confusion of life, keep peace in your soul. With all its sham, drudgery and broken dreams, it is still a beautiful world.